Mercer’s chief customer and marketing officer, Renee McGowan, has been promoted to a global business operations role within the group and will relocate to New York later this month. McGowan has been with Mercer in Australia for 10 years, initially as retail marketing chief before being handed the customer service functions, including marketing, as part of a Pacific role in mid-2013. During this time, she has spearheaded Mercer’s Customer Transformation Strategy, a holistic step-change plan encompassing digital transformation, customer management and marketing automation. A key breakthrough was the launch of the group’s data analytics and customer insights platform, Mercer Edge, which now provides teams with a one-stop interactive view of customer insights. McGowan was also listed 10th in the 2016 CMO 50 list of Australia’s most innovative marketers. 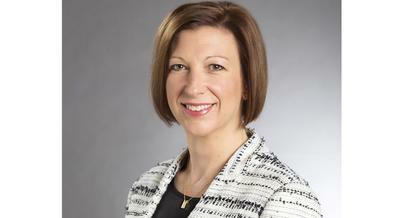 McGowan’s new role is global head of Mercer’s individual retirement savings business. She told CMO the strategic leadership position is focused on accelerating growth in the financial services group’s consumer business and will build off infrastructure she has helped developed locally. McGowan will be replaced locally by current consumer marketing leader for Pacific, Cambell Holt, who now takes over customer strategy and experience including consumer services teams, consumer marketing, data and insights and digital and financial advice. “This is wonderful recognition of Cambell’s achievements at Mercer, specifically his leading the transformation of our data and consumer marketing activities over the past two years,” she said. Holt joined Mercer in January 2014. He was previous senior manager for global wealth marketing at ANZ, and held a number of marketing roles during his eight years with the banking group. "I’m humbled by the opportunity, and excited to be leading Mercer’s consumer effort over the next phase of our growth and transformation," he said. "Renee and her leadership team have spent the past three years creating an excellent consumer capability, and I’m looking forward to building on that through the next stage in our evolution as a truly great consumer wealth business." Mercer’s B2B marketing leader, Natalie Truong, who joined in April, retains her role but now reports directly to both Mercer’s European marketing leader and Australian CEO, Ben Walsh.